"tks for great product, best seller.....A++"
"Good quality, fast shipping, excellent eBayer..."
"I put the new feet on this afternoon and I must say they look stunning. The fit was pretty straight forward following Gus' pictoral instructions. 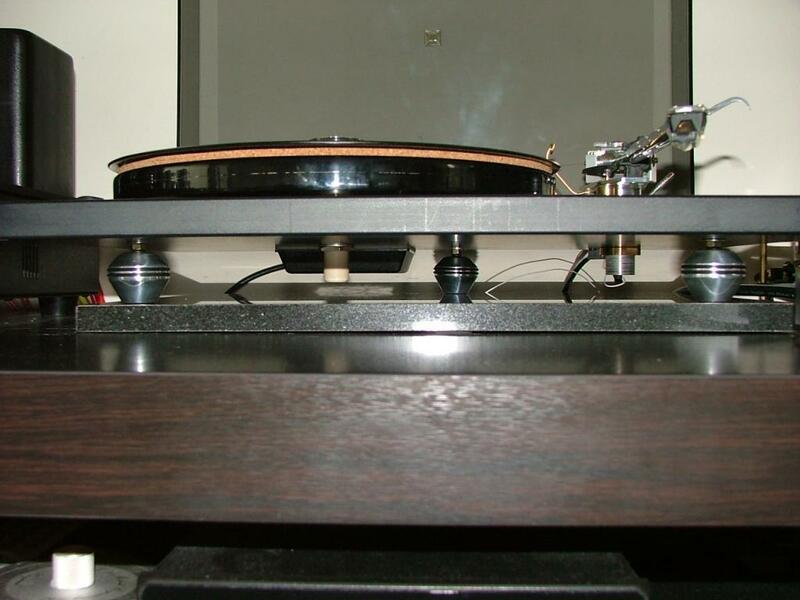 They are, with the nut fitted, taller than the stock P3-24 feet which is good for me as there is more room for the Tonearm cable under the table. Levelling was really easy. It may not look it from the photo but I had the platter completely levelled in about 45 seconds. Whether there is any difference to the sound. Won't reallt have time to listen properly until Wednesday, but if they add or detract nothing from the sound I'll be more than happy. The ability to level things without fiddling about with bits of paper or 2p pieces is more than worth it, especially as they look so good. Nice piece of engineering Gus. Thanks very much."